When facing how to approach a Shopper Marketing Model in the organization, one of the main challenges is how to organize it internally and define effective ways to assign clear roles to Marketing, Sales and Trade teams. The Shopper Marketing Model or approach can be defined as the use of insights-driven marketing and merchandising initiatives to satisfy the needs of targeted shoppers, enhance the shopping experience, and improve business results and brand equity for retailers and manufacturers. The objective of a Shopper Marketing Model is to adapt company strategy into clients one and to influence it. Most companies find the need to ensure right translation from strategy to excellence in execution, and this is why a stronger priority needs to be assigned to the final “moment of truth”, when shopper decides which product to buy or order. Define a Shopper Marketing Model in your organisation means placing higher focus on execution excellence and make organisation more action oriented, assign clear responsibilities for plan execution, with one basic unique objective: deliver growth. And implementing this new approach requieres to define new and clear R&R within your team to minimise task duplication. 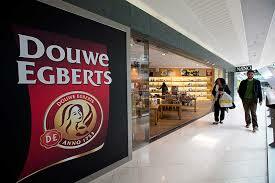 In our last mission, we helped Douwe Egberts Netherlands (Former Sara Lee DE Group) to define its new Shopper Marketing Model and Organisation, to better balance brand equity with retailer equity to gain trade and shopper relevance allowing growth development.